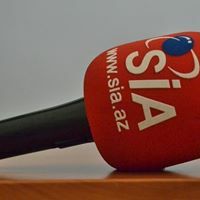 News TV Channel / SIA was registered on July 23, 2008 at the Ministry of Taxes of the Republic of Azerbaijan, Baku Taxes Department and State Registration Office of the Republic of Azerbaijan. The agency is providing news services in Azerbaijani, English and Russian languages. In the near future, the news service will be available in several foreign languages. The news service is implemented with special newsletter and online system. Information blocks contain information on Azerbaijan's political, economic, social, cultural and sporting life, operational news and analytical articles about the events in the region and in the world. SIA intends to carry out operative, accurate, impartial information policy, appointing special correspondents in all regions of Azerbaijan. He has also established cooperation with Turkey, Russia, Ukraine, Georgia, the Baltic states, Moldova, the European states and leading mass media in the US, TV channels, broadcasting organizations and media.